Full range of thick wall tubes. 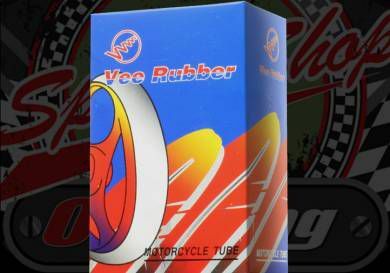 Great quality inner tube. Vee Runner brand. These are a good quality tyre that we settled on after trying many brands over the years. They are very good for tear resistance and wear well. We tended to get more positive feedback from our customers using these. They have a thick wall and a valve not prone to leaking. Most of the smaller sizes have options for Angled valves which is essential for the 8" as there is such little room. Check the drop down for a complete list os sizes we stock. If there is a size you would like that is not on the list please contact us and we may be able to source them.